Zhu Y., An X., Tomaszewski A., Hepler P.K., W.-L. Lee. 2017. Microtubule-crosslinking activity of She1 ensures metaphase spindle stability for spindle positioning. Journal of Cell Biology, 216(9):2759-2775. Bezanilla M., Gladfelter A.S., Kovar D.R., W.-L. Lee. 2015. Cytoskeletal dynamics: a view from the membrane. Journal of Cell Biology, 209(3):329-37. Markus S.M., Omer S., Baranowski K., W.-L. Lee. 2015. Improved plasmids for fluorescent protein tagging of microtubules in Saccharomyces cerevisiae. Traffic, 16(7):773-86. Zhu Y., W.-L. Lee. 2014. The role of +TIPs in directional tip expansion. Molecular Microbiology, 94(3):486-9. Wadsworth P., W.-L. Lee. 2013. Microtubule motors: doin’ it without dynactin. Current Biology, 23(13):R563-5. Markus S.M., Kalutkiewicz K.A., W.-L. Lee. 2012. She1-mediated inhibition of dynein motility along astral microtubules promotes polarized spindle movements. Current Biology, 22(23):2221-30. Collins E.S., Balchand S.K., Faraci J.L., Wadsworth P., W.-L. Lee. 2012. Cell cycle-regulated cortical dynein/dynactin promotes symmetric cell division by differential pole motion in anaphase. Molecular Biology of the Cell, 23(17):3380-90. Markus S.M., Kalutkiewicz K.A., W.-L. Lee. 2012. Astral microtubule asymmetry provides directional cues for spindle positioning in budding yeast. Experimental Cell Research, 318(12):1400-6. Tang X.Y., Germain B.J., W.-L. Lee. 2012. A novel patch assembly domain in Num1 mediates dynein anchoring at the cortex during spindle positioning. Journal of Cell Biology, 196(6):743-56. Markus S.M., W.-L. Lee. 2011. Microtubule-dependent path to the cell cortex for cytoplasmic dynein in mitotic spindle orientation. Bioarchitecture, 1(5):209-215. Markus S.M., W.-L. Lee. 2011. Regulated offloading of cytoplasmic dynein from microtubule plus ends to the cortex. Developmental Cell, 20:639-651. Markus S.M., Plevock K.M., Germain B.J., Punch J.J., Meaden C.W., W.-L. Lee. 2011. Quantitative analysis of Pac1/LIS1-mediated dynein targeting: implications for regulation of dynein activity in budding yeast. Cytoskeleton, 68:157-174. Wadsworth P., W.-L. Lee, T. Murata, T.I. Baskin. 2011. Variations on theme: spindle assembly in diverse cells. Protoplasma, 248:439-46. Ferenz N.P., Ma N., W.-L. Lee, and P. Wadsworth. 2010. Imaging protein dynamics in live mitotic cells. Methods, 51(2):193-196. Tang X.Y., J.J. Punch, W.-L. Lee. 2009. A CAAX motif can compensate for the PH domain of Num1 for cortical dynein attachment. Cell Cycle, 8(19):3182-3190. W.-L. Lee, P. Wadsworth. 2009. New spindle morphogenesis model by Dynein, Nudel, and the spindle matrix. Cell Research, 19(5):529-531. Markus S.M., J.J. Punch, W.-L. Lee. 2009. Motor- and tail-dependent targeting of dynein to microtubule plus ends and the cell cortex. Current Biology, 19(3):196-205. Vorvis, C., S.M. Markus, W.-L. Lee. 2008. Photoactivatable GFP tagging cassettes for protein-tracking studies in the budding yeast Saccharomyces cerevisiae. Yeast, 25:651-659. Li, J., W.-L. Lee, and J.A. Cooper. 2005. NudEL targets dynein to microtubule ends through LIS1. Nature Cell Biology 7:686-690. W.-L. Lee, M.A. Kaiser, and J.A. Cooper. 2005. The offloading model for dynein function: differential function of motor subunits. 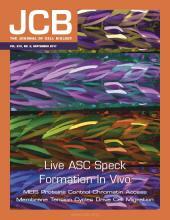 Journal of Cell Biology 168:201-207. W.-L. Lee, J.R. Oberle, and J.A. Cooper. 2003. The role of the lissencephaly protein Pac1 during nuclear migration in budding yeast. Journal of Cell Biology 160:355-364.